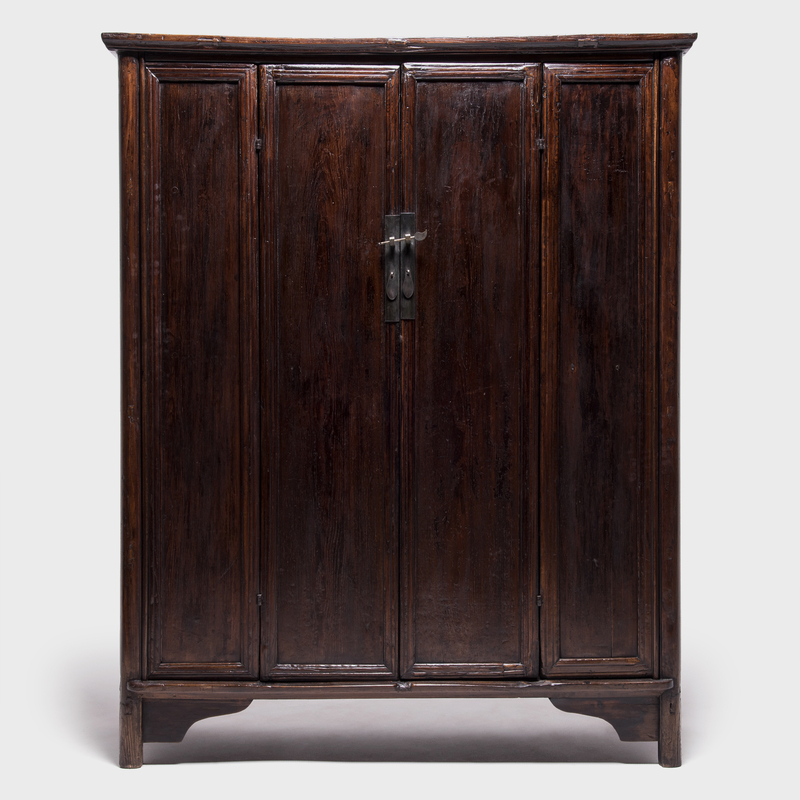 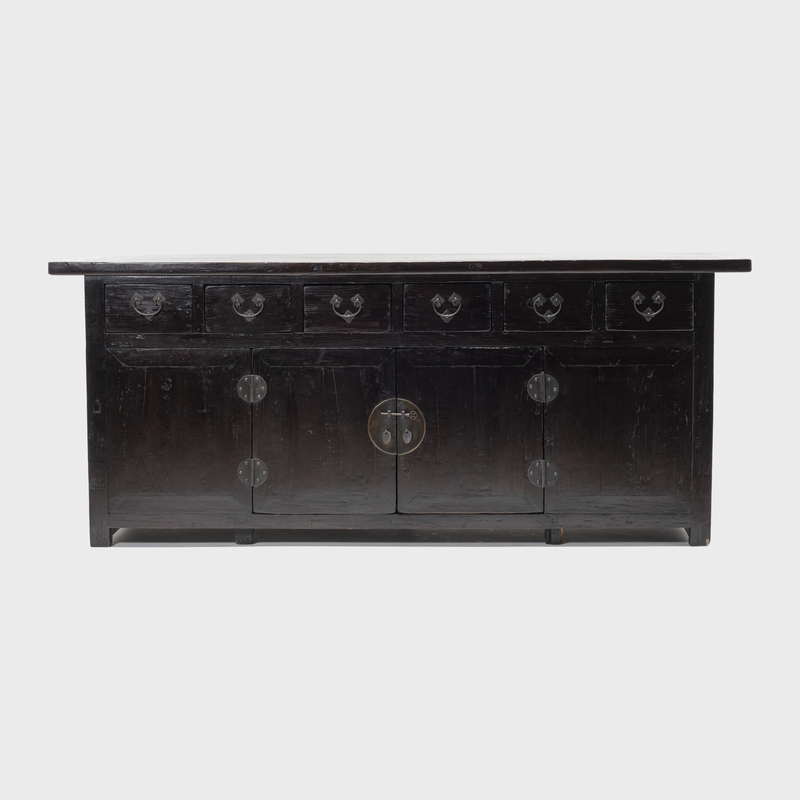 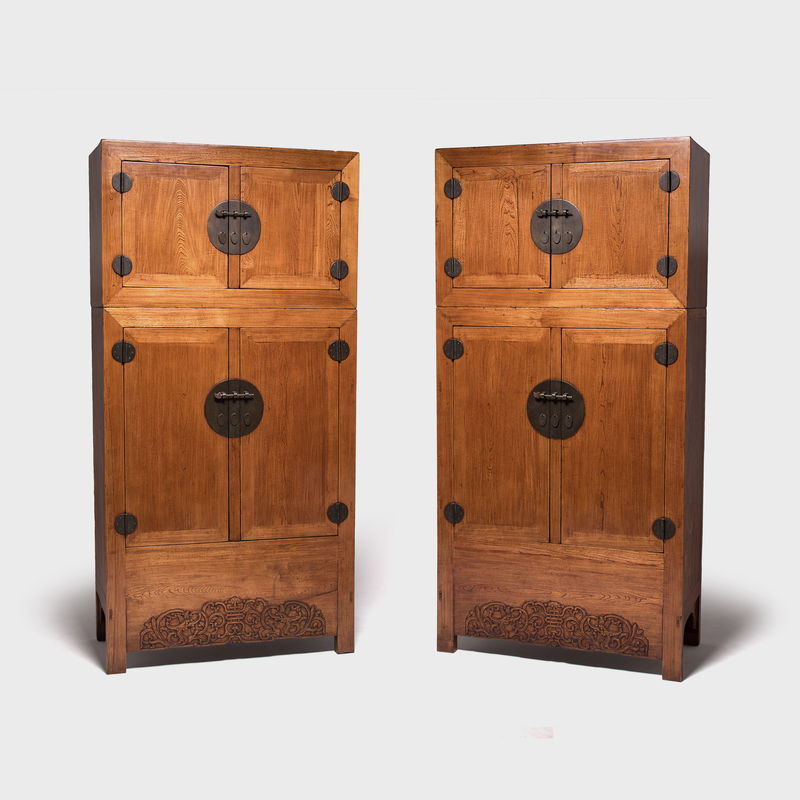 W: 80.0" D: 19.0" H: 39.0"
With five drawers and six doors, this striking 19th-century Chinese coffer is larger than most - the monumental design would make it an ideal storage chest for a modern home. 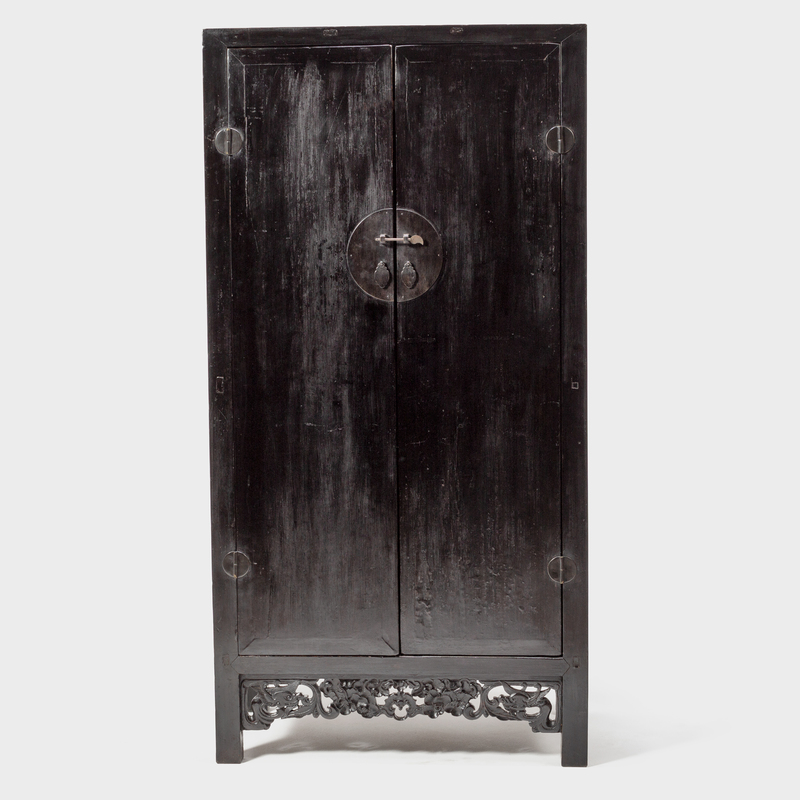 Each drawer has a detailed botanical carving with the original brass hardware set in the middle of the flower. 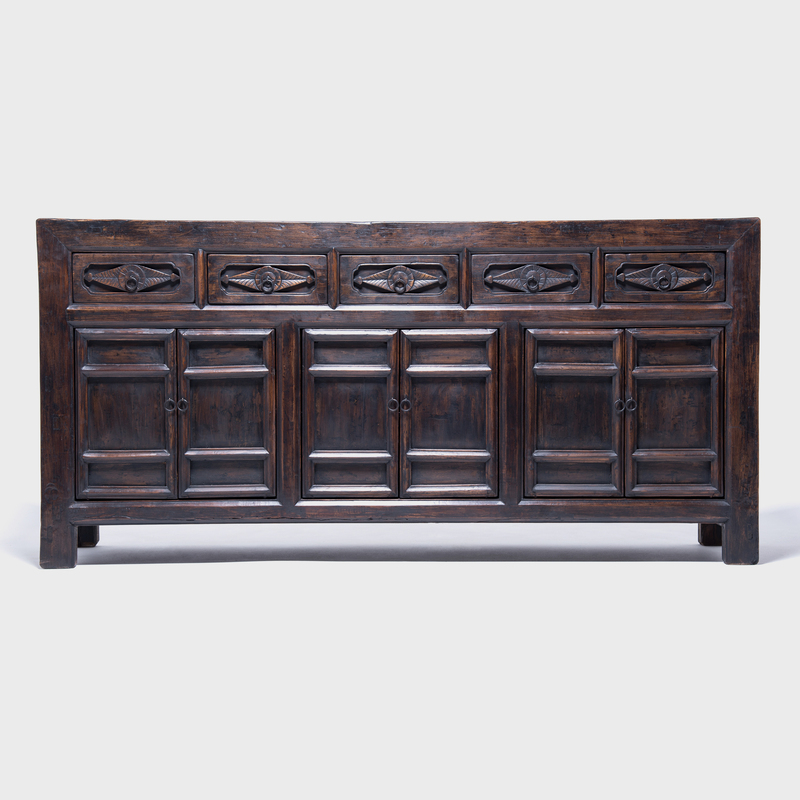 The coffer was carved out of the finest walnut by an artisan from China’s Shanxi province and has a timeless, refined elegance.